Rifle scopes combine three key aspects to their functioning, and the first one of these is to serve as a telescope, magnifying the image of a faraway object so that it is easier to see. All rifle scopes are examples of refracting telescopes. Refracting telescopes use lenses to concentrate light and achieve magnification, and most rifle scopes are based on the venerable Galilean or Keplerian model. Both use a convex objective lens. The Keplerian model uses a convex eyepiece, and the Galilean uses a concave eyepiece. The Keplerian model has a wider potential field of vision, but turns the image upside down. 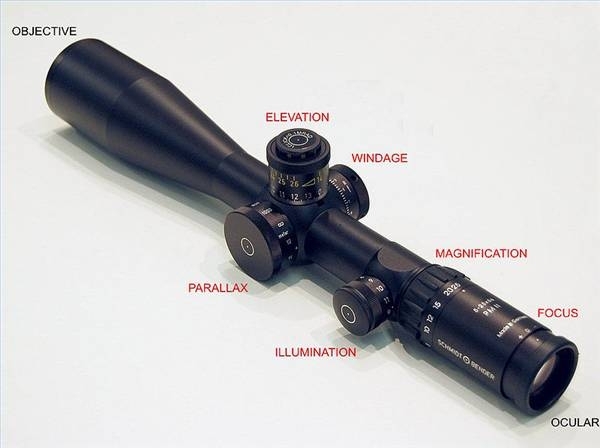 Nearly all rifle scopes have adjustable magnification settings, called "powers," which rotated stronger or weaker lenses into place to alter image magnification. Once the image is easily in sight, the next concern is if a shot will go where directed. For rifle scopes, this alignment with the barrel is achieved and maintained by boresighting. 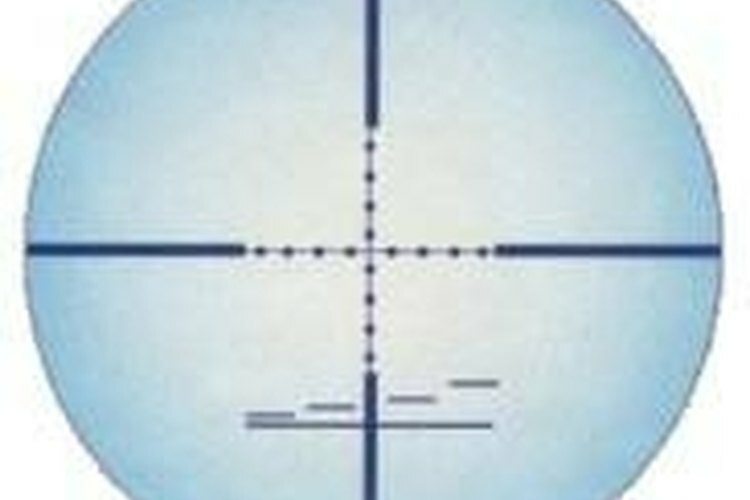 A boresighter is inserted into the muzzle of the rifle, and then the reticle (crosshairs) are adjusted until they are aligned with the boresight. Bullets do not travel in straight lines, and this effect is magnified over longer ranges. Even a low wind will blow a bullet off course, and bullets naturally lose their momentum to the forces of aerodynamic drag and gravity, dropping as they fly. Most scopes come with two knobs for adjusting the scope to account for these effects, and they are critically important for accurate, long range shooting. There is a horizontal control knob for windage, and vertical control knob for bullet drop. They will make minute adjustments to the reticle to compensate for these forces. 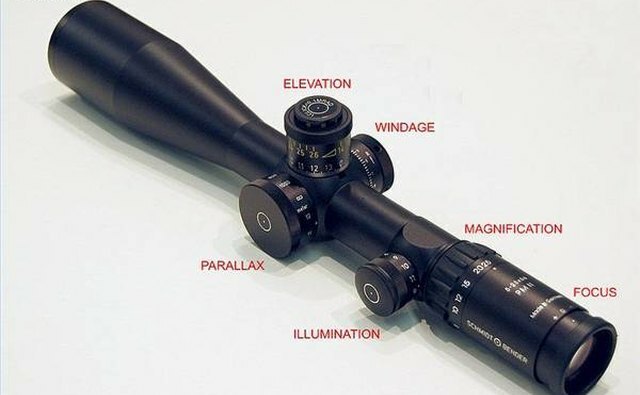 What is a Gun Scope Parallax?